Among the ABLE DANGER hubbub, the G2 Bulletin is reporting that Atta was marked as 'person of interest' before he entered the United States. They are reporting that long before Atta entered the U.S, Egypt's military intelligence alerted us about Atta and the potential danger he posed to us. For many years, Egyptian officials have been fighting jihadist groups and watching "cells" in Germany and Great Britain and had ear-marked him as "a person of interest." Supposedly, the Defense Intelligence Agency had received info on Mr. Atta from Egyptian military intelligence, shooting down the story that Atta had been accidentally stumbled upon as a security risk through the Able Danger program. Egypt felt that the philosophical link between Atta and the legendary Lt. Khaled Islambuli was more important than his ties with al-Qaida's Ayman al-Zawahiri. Islambuli is believed to have carried out the assassination of Egypt's President Anwar Sadat. If Atta was known to be connected to al-Qaida, it would have been a foregone conclusion that he was a "security risk". 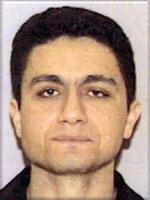 Please consider the fact that within 4 days after 9-11, all ninteen hijackers were identified and connected to al-Qaida. That's awfully fast work, and one has to believe that information on him (as well as the others) was known and fairly extensive well before that fateful day.